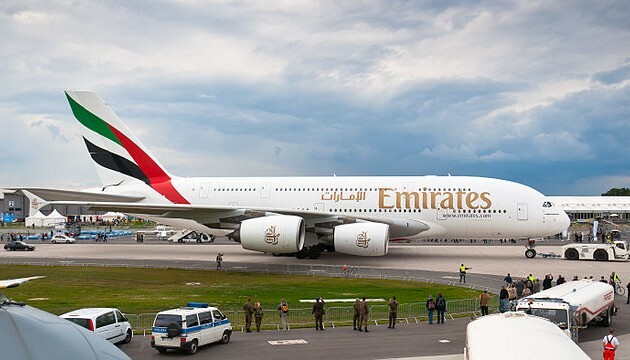 An Airbus 380 operated by Emirates Airlines landed at Copenhagen Airport today. It is the first time that an aircraft of this type has operated a scheduled service from a Scandinavian airport – in this case a route between Copenhagen and Dubai. The Airbus A380 can accommodate 615 passengers in its double-decker fuselage. The plane has a wing-span of 80 metres and is 73 metres long. Woldbye said the number of long routes flying out of Copenhagen has doubled in the past 10 years. The massive plane touched down at 12;20. Emirates hosted a private affair for business people, politicians and airport staff. Local plane enthusiasts gathered at Flyvergrillen in Amager to watch the landing. Kastrup has had to expand in order to make room for the large aircraft. The airport expanded and renovated its 3.3 km-long main runway for 100 million kroner last summer. An extended passenger bridge was also required to lead passengers to and from the gate and the plane.